New figures released by the Cultural Human Resources Council and Mercer (Canada) Ltd. point to an overall wage increase for arts and culture employees, but more needs to be done — from publishing reliable information that arts organizations may use to inform their operations, to working with a cross-section of industry players to shape funding policies. 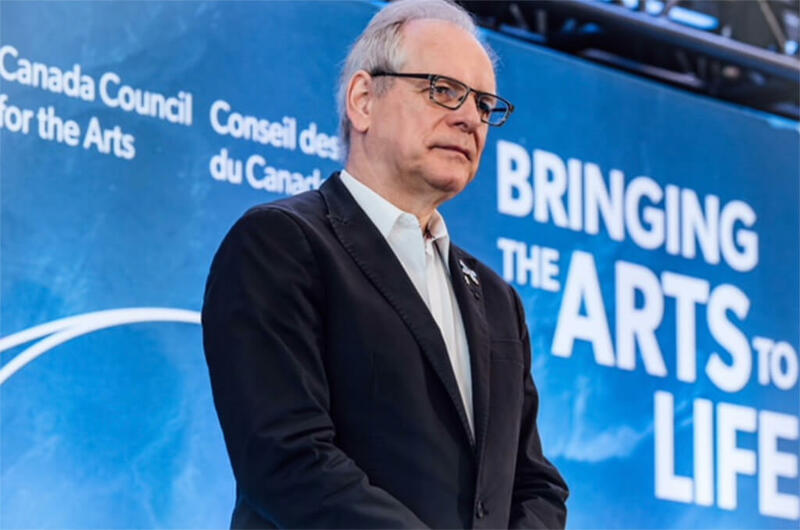 On April 19, the Cultural Human Resources Council (CHRC) released a report outlining changes to the not-for-profit arts sector in Canada. The study asserted that from 2008 to 2017, real wages had decreased for those working in the field. This proved to be erroneous, and with some independent calculations of our own, we discovered a significant error in the calculations’ methodology. 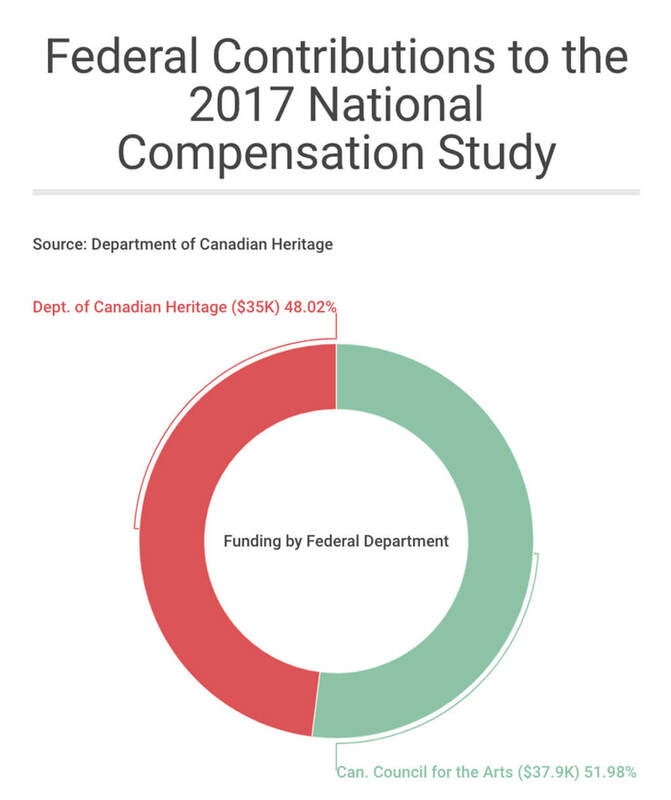 After reaching out to the CHRC to inquire about the consulting firm (Mercer Canada)’s methodology, they responded with a revised version of the 2017 National Compensation Study. Changes centre around the updated 6.7 percent increase in real wages — reversing the previously-reported decrease of 0.1 percent within not-for-profit arts organizations. With inflation set at 14.5 percent between 2008 and 2017 according to the Bank of Canada, this means net wages for not-for-profit arts workers increased by 21.2 percent when cost-of-living is not factored in. The study, contracted by the CHRC and prepared by consulting firm Mercer (Canada) Ltd., was funded by the Canada Council for the Arts and the Department of Canadian Heritage. These federal agencies contributed $37,900 and $35,000, respectively, at a total cost of $72,900. In our follow-up conversation with the same contact at Mercer Canada from our previous report, they refused to comment publicly on the study’s evolution despite their inside understanding of the data. 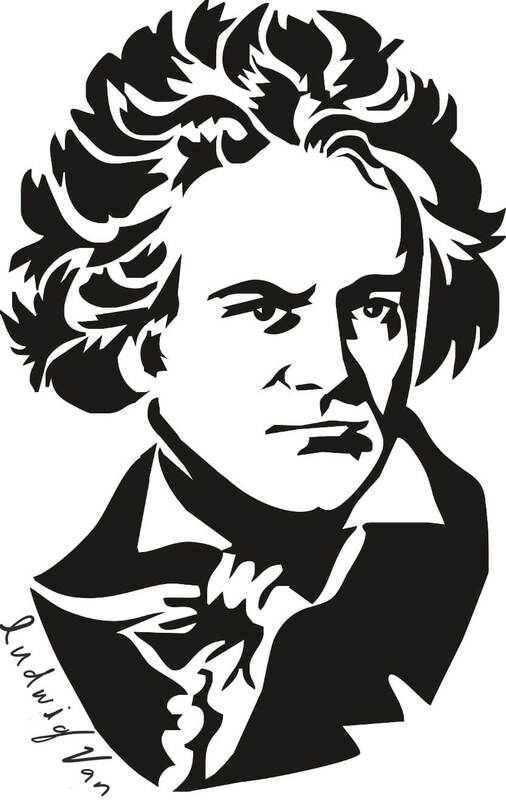 Ludwig Van pressed other steering committee members for answers to the original report’s error in methodology; specifically, how the miscalculation could have been avoided and whether the protocol for issuing federal funding will be revisited. Direct answers were difficult to obtain. An excerpt of Ludwig Van’s correspondence with Susan Annis, executive director of the Cultural Human Resources Council following the release of the revised 2017 National Compensation Study on not-for-profit arts workers. 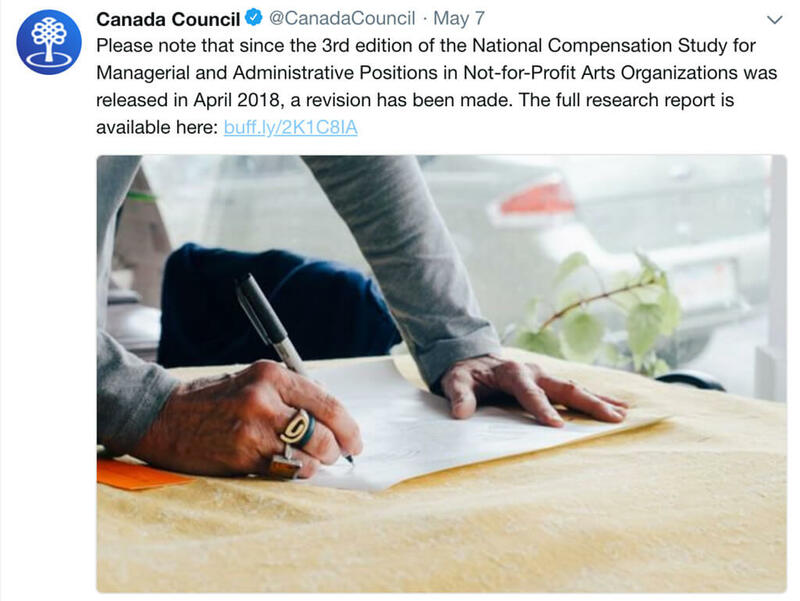 The Canada Council for the Arts posted an update on their social media channels on May 7, 2018, after a revision was made to the 2017 National Compensation Study. Michael Mori, artistic director of Tapestry Opera, recalled reading about the real wage decline in the initial report. It “raised some yellow flags” in his mind, seemingly running counter to his understanding of the sector’s health in his work across Canada. Opera production and directing have taken Mori from Vancouver to St. John’s and to the United States and Europe – most recently the Scottish Opera, Fresno, Columbus and Dallas. During his travels, Mori saw first-hand the variation in funding models: American opera is largely financed by private donors, while Europeans enjoy the support of government backers. In Canada, not-for-profit arts organizations receive financial support at both governmental and private levels. “We are in a much better place than the U.S. because the government funding gives a measure of stability to organizations to weather the ups and downs of the economy,” Mori affirmed. To him, the only explanation for declining real wages would have been heavy representation from the independent arts scene, where employees may be at the onset of their careers and are being compensated very little. “If it were a one-person shop or a two-person shop, I think that would have pulled the average down… but I noticed the bulk of these numbers are coming from the larger, easier-to-measure organizations,” Mori referred to institutions on par with the Canadian Opera Company, Toronto Symphony Orchestra and the Art Gallery of Ontario. 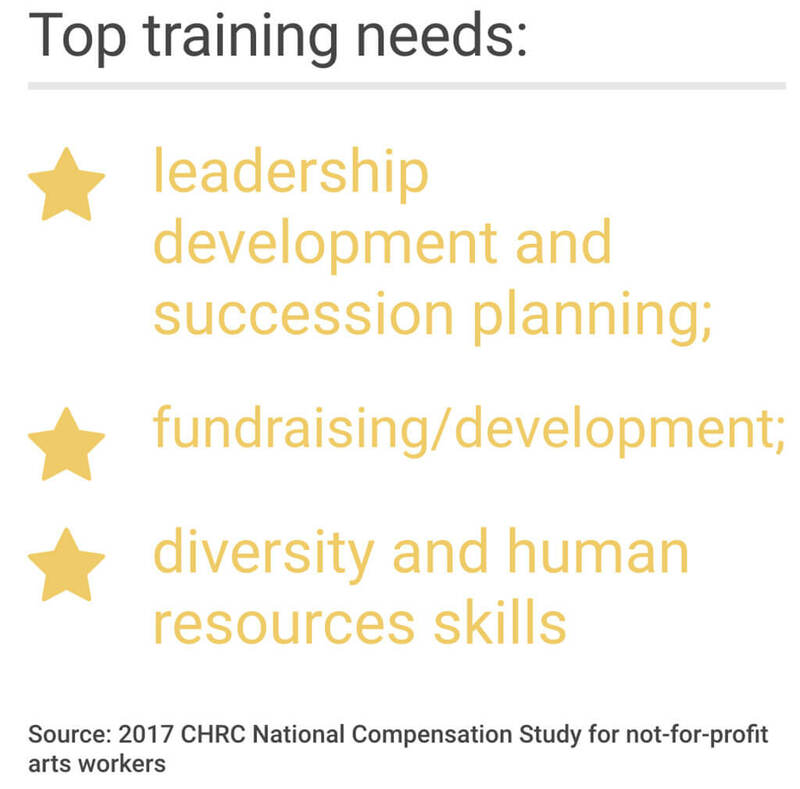 Looking at the overall findings in the CHRC report, the cautionary message is that if base salaries and overall compensation packages cannot keep pace with those of more well-remunerated sectors, not-for-profit arts organizations risk workload “burnout” and increased staff turnover. Natasha Bood, executive director of Toronto Summer Music, echoed many of the report’s findings and calls to action for the sustained health of the not-for-profit arts sector. In her view, arts managers “absolutely” rely on the CHRC report in their arts advocacy work. 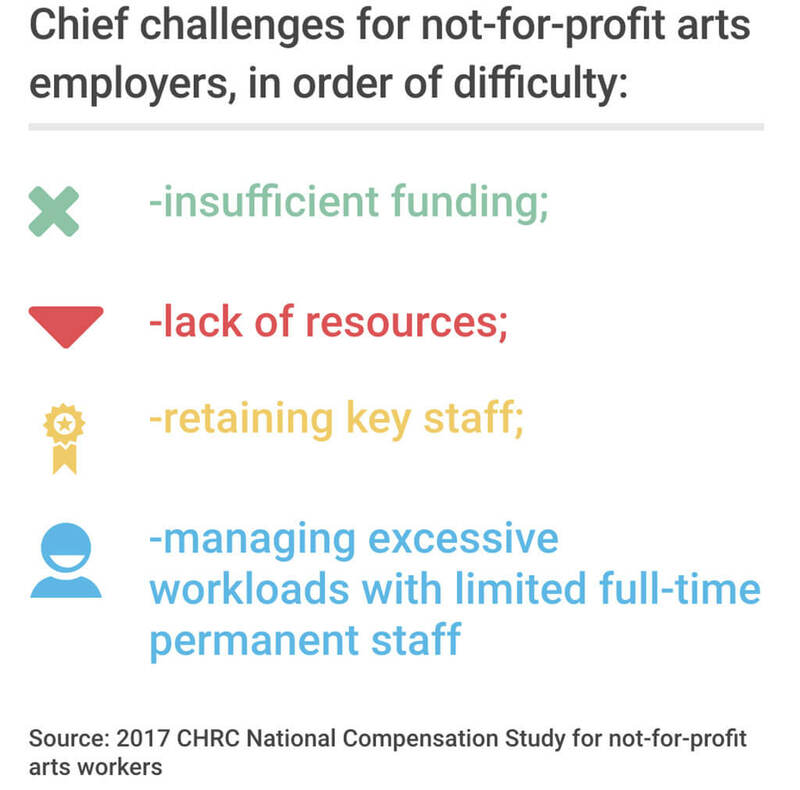 Chief challenges for not-for-profit arts employers, in order of difficulty. 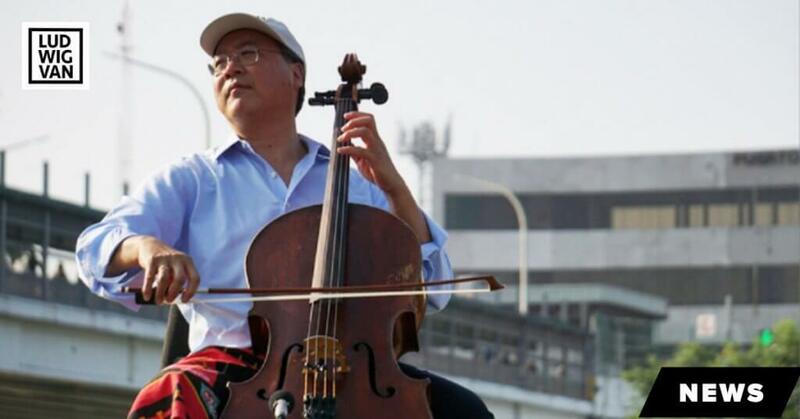 Mori believes arts organizations should prioritize retaining the right individuals to work in the arts, while the government policymakers can support their efforts by applying study results to determine funding amounts. Therein lies the ongoing struggle to retain talented arts workers: compensating existing staff for their work, while having enough funds to attract fresh talent. 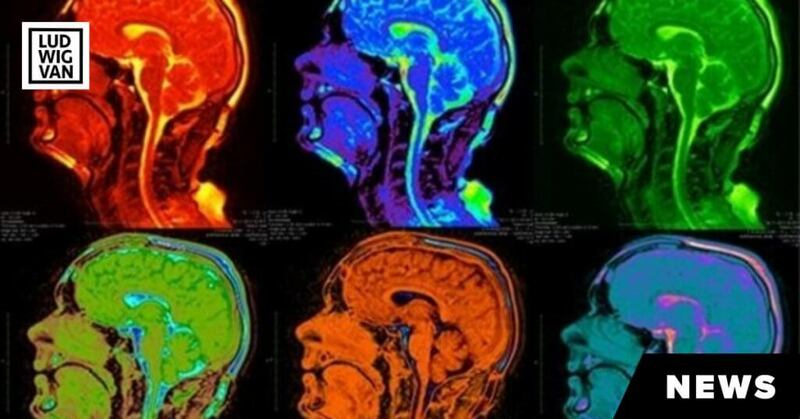 Ultimately, Mori is hopeful that such studies will allow arts creators and their funders to come together and make knowledge-based improvements to arts policy. The 2017 National Compensation Study For Managerial and Administrative Positions in Not-for-Profit Arts Organizations focused on 21 benchmark management and administrative positions. Data were gathered on markers like base salary, short-term incentive pay, employee benefits and human resources challenges, from which current patterns and conclusions were drawn. The study compiles 436 responses by not-for-profit organizations with operating budgets ranging from under $100,000 to over $5-million annually. About 4,000 organizations across Canada were invited to submit information on their organization’s financial position and compensation policies for the anonymous survey. 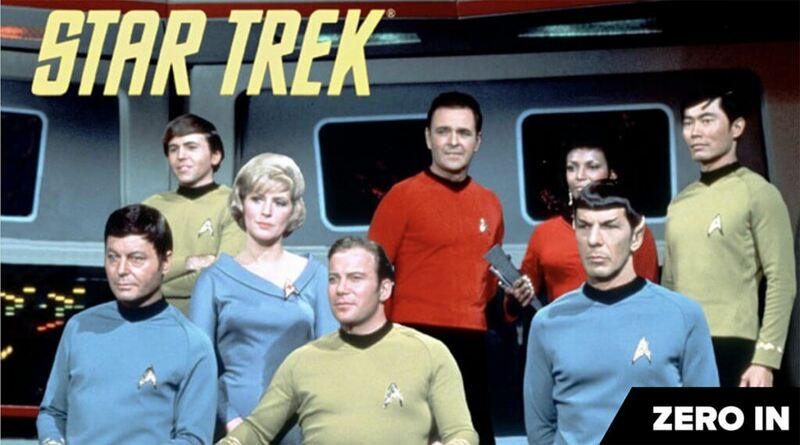 Exploring the connection between the iconic Star Trek theme song and some of history’s greatest classical music composers, including Beethoven, Brahms, and Mahler.